Visual Studio Code is a source code editor developed by Microsoft for Windows, Linux and macOS. It has features such as debugging, Git control, syntax highlighting, smart code completion, snippets and refactoring. It's free and open-source, however official download is under a proprietary license. 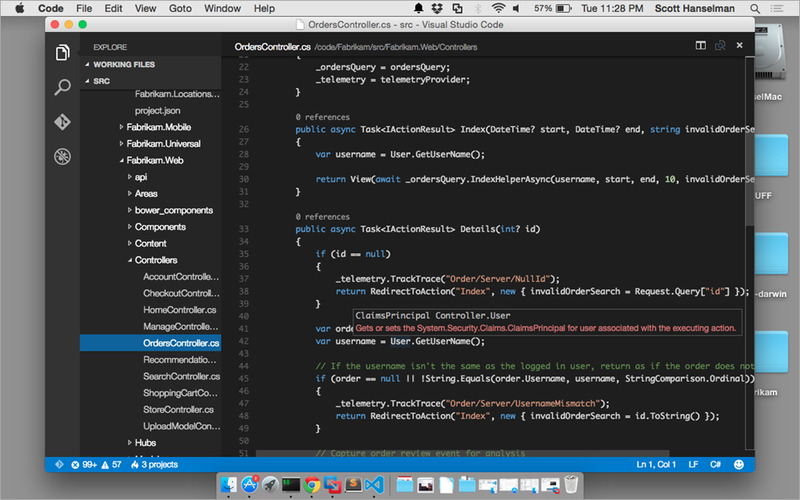 What is your favorite Visual Studio Code (Mac) hotkey? Do you have any useful tips for program? Let other users know below.